Draw close to the fire, all you who believe in the spirit of Christmas, whether you call it Santa Claus, or simply good will to men; and listen to the story of Nicholas the Wandering Orphan who became Nicholas the Wood-carver, a lover of little children. Follow him through his first years as a lonely little boy, who had the knack of carving playthings for children; then as a young man, busy over the little toys; then as a prosperous, fat, rosy old man, who overcomes all sorts of difficulties in order to attain his ambition, a toy for every child in the village. Learn how he started to drive a beautiful sleigh drawn by prancing reindeer; why he first came down a chimney; how he filled the first stocking; where the first Christmas tree was decorated; and finally how he came to be known as "Saint Nicholas" and "Santa Claus." Lyman Frank Baum was an American author, actor, and independent filmmaker best known as the creator, along with illustrator W. W. Denslow, of one of the most popular books in American children's literature, The Wonderful Wizard of Oz, better known today as simply The Wizard of Oz. Born in Chittenango, New York, into a Protestant family of German origin, he was the seventh of nine children born to Cynthia Stanton and Benjamin Ward Baum, only five of whom survived into adulthood. He was named "Lyman" after his father's brother, but always disliked the name, and preferred to go by "Frank." Frank started writing at an early age, perhaps due to an early fascination with printing. When his father bought him a cheap printing press he used it to produce The Rose Lawn Home Journal with the help of his younger brother Harry. Then in 1897 he wrote and published Mother Goose in Prose, illustrated by Maxfield Parrish. 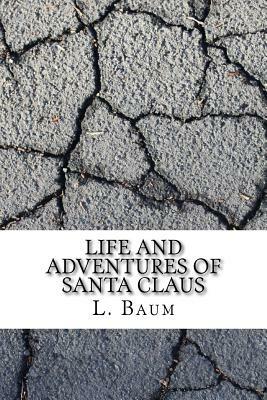 Mother Goose was a moderate success, and allowed Baum to quit his day job. In 1900, Baum and Denslow published The Wonderful Wizard of Oz to much critical and financial acclaim, the book went on to become the bestselling children's book for two years after its initial publication, and the legacy was born.